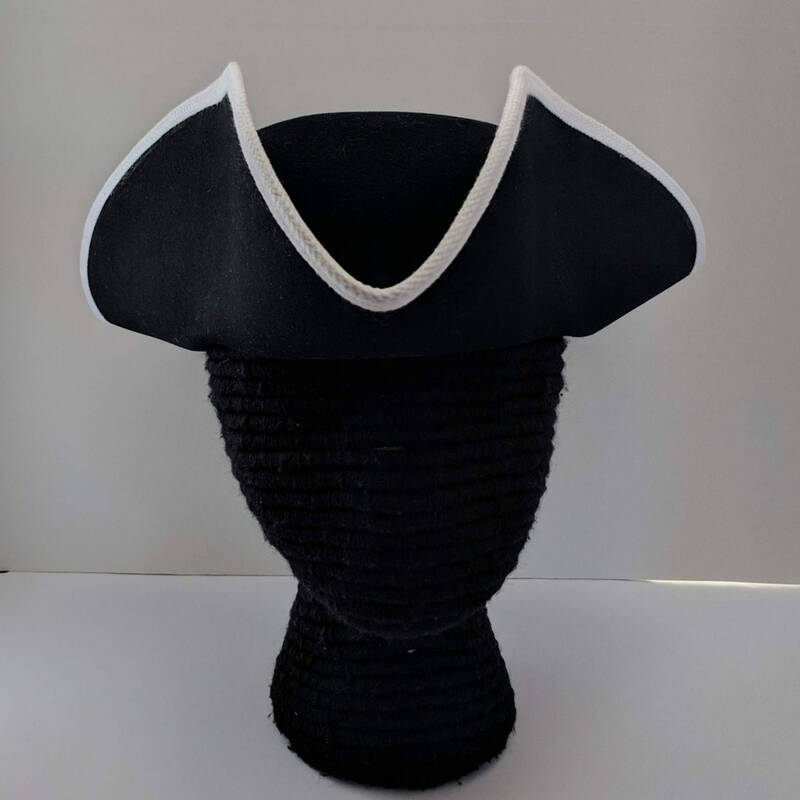 This hat has been trimmed around the brim with white fold-over braid. 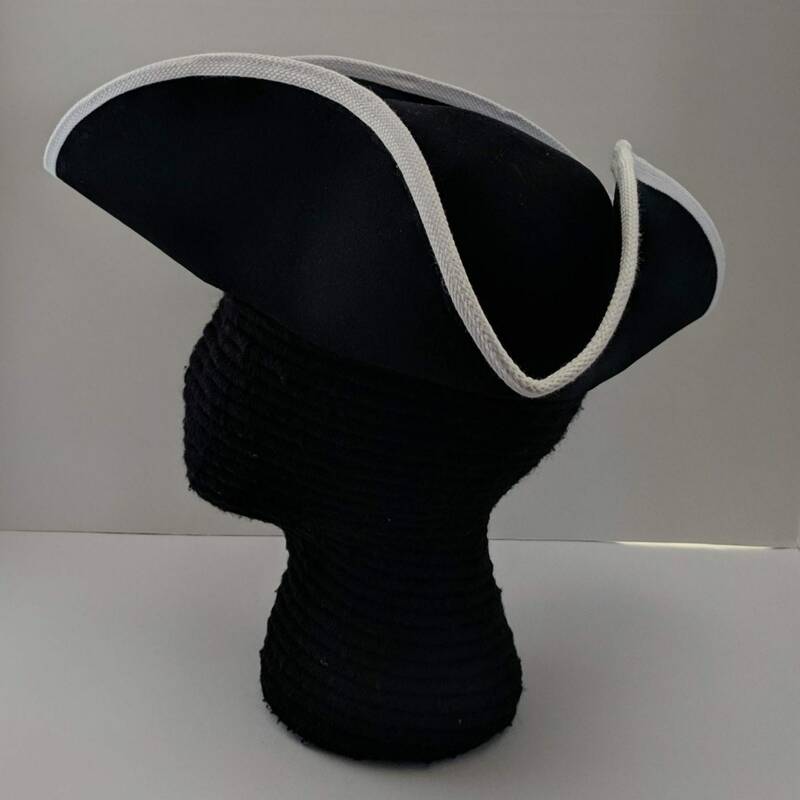 It is also available with black braid. 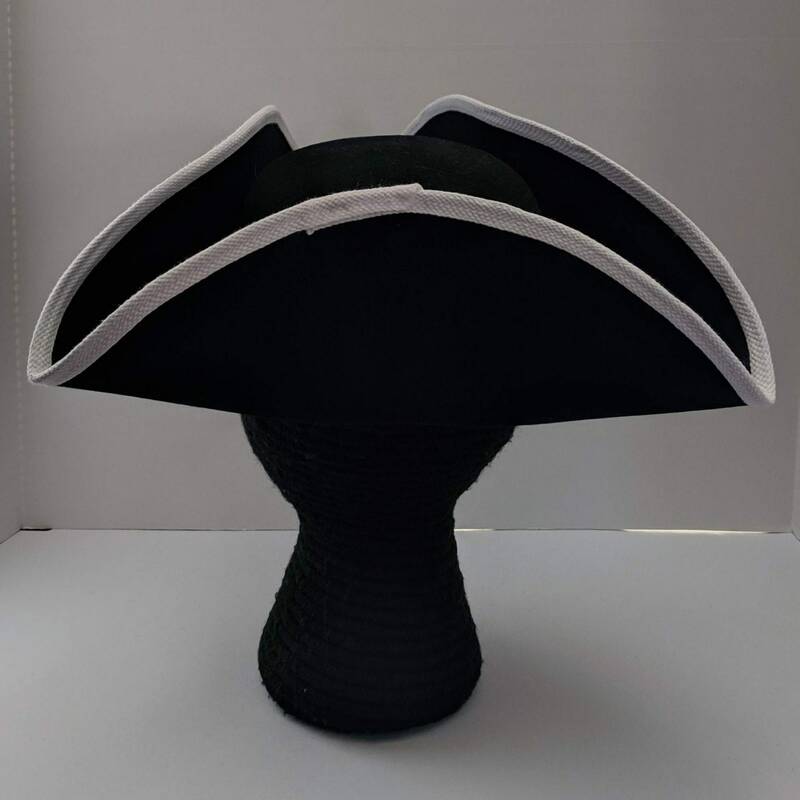 Plain untrimmed hats are listed separately. 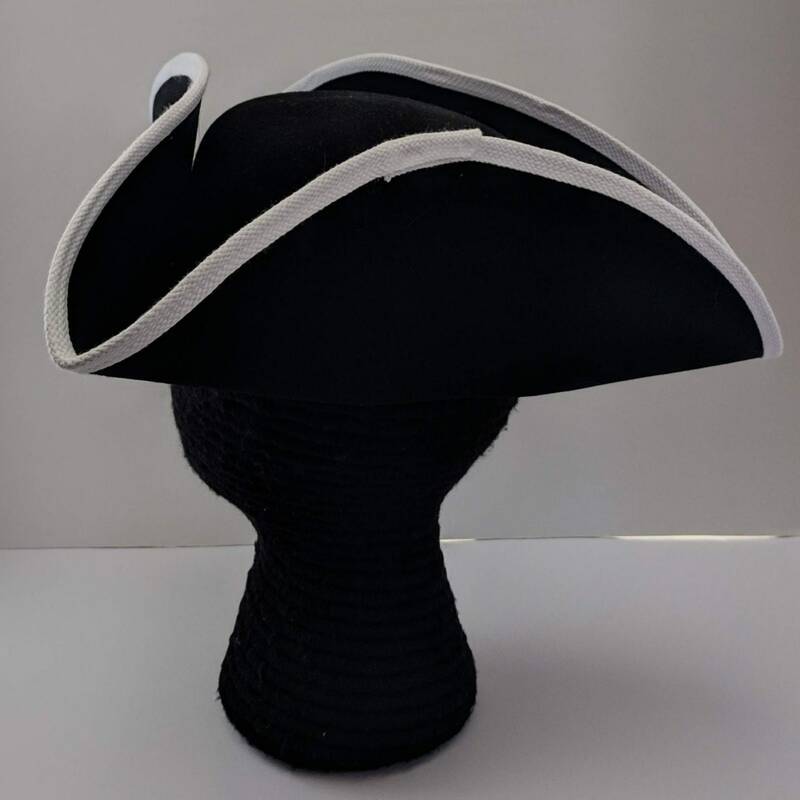 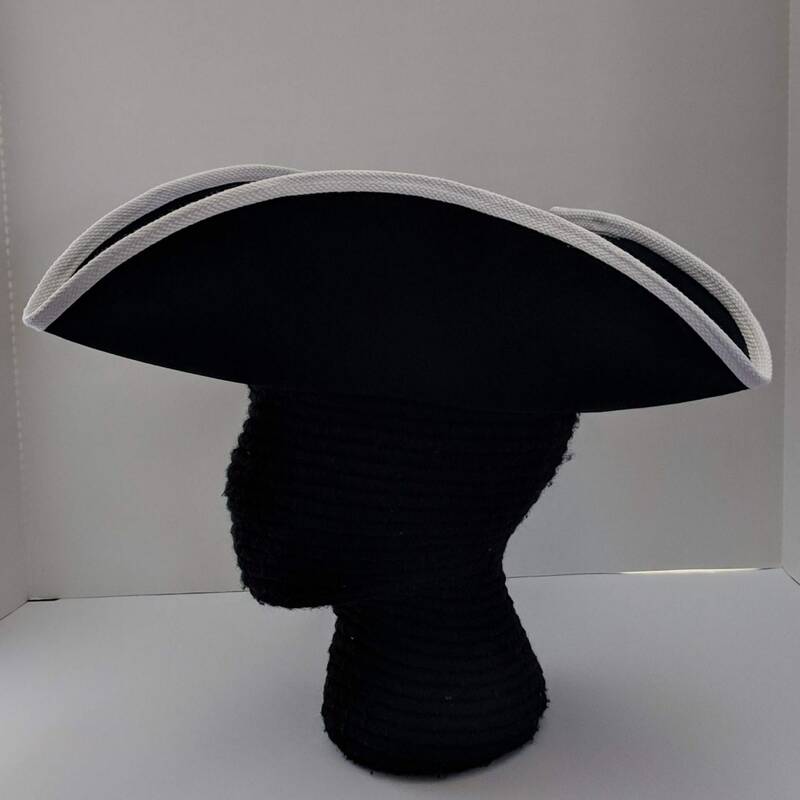 Worn by civilians as well as the military, this is the perfect hat for the Revolutionary or Colonial time period. 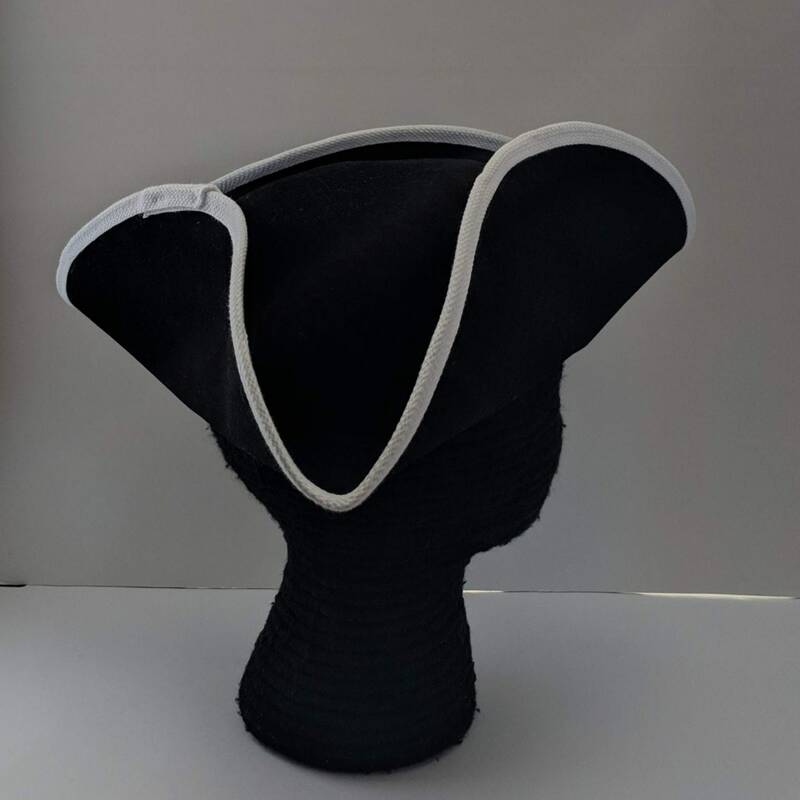 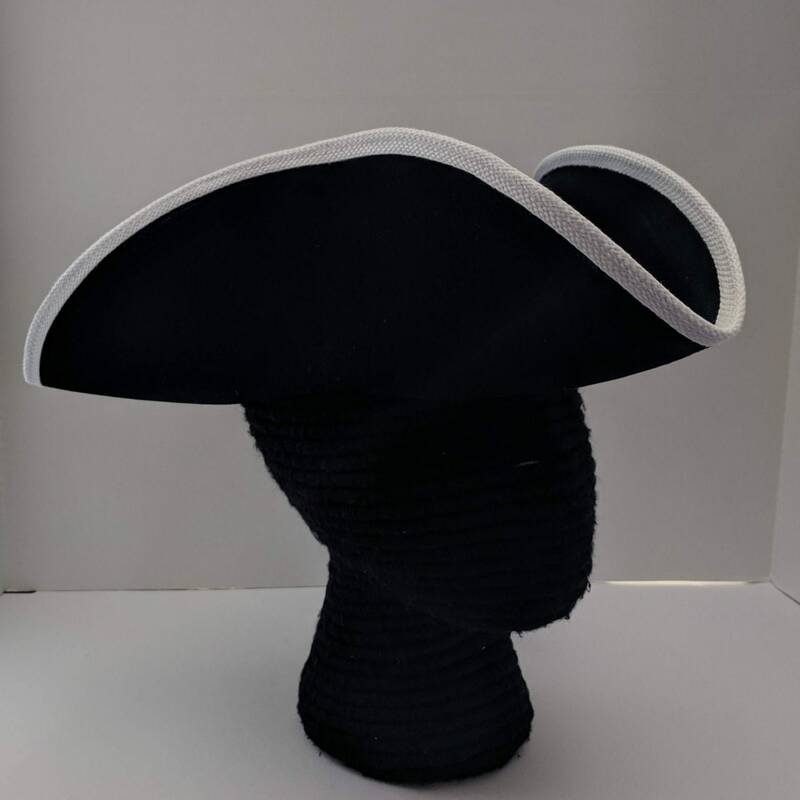 A white trimmed tricorn was worn by the Swedish Caroleans during the 17th and 18th century.